It has been a wonderful albeit daunting time for many of us who are attuned and listening to that still small voice within. Many are feeling the need to pull back and become more self sufficient in every area of their lives. More and more people are looking for housing in communities which are off the grid or they are integrating solar panels, wind technology and other green aspects into their current homes. More and more people are finding discomfort in relying on a system which with one terrorist attack would be rendered useless. In no way am I trying to spread fear as we all know that we are protected but it is just common sense to want to be more independent and is also much more economical which is another reason so many are considering their green options. Leaving a large carbon footprint from the use of aerosols, chemical and over usage of our natural resources like gas and electricity is costly and irresponsible. It is high time we take responsibility for the damage we are doing to the earth and make every effort to try and minimize it. 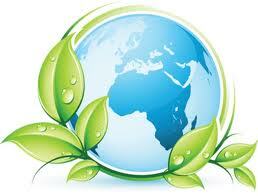 I encourage you to take a look at your life and see where you can reduce your carbon footprint. It can be as simple as changing from a spray product to a roll on or turning off 1 or 2 lights earlier in the evening. Change to energy efficient light bulbs and convert to zero landscaping.You can also turn off the water when you are brushing your teeth or hang your towels to dry instead of running the electric or gas clothes dryer. There are so many ways to help preserve our natural resources and I encourage all of you to do your part to make a difference…the earth thanks you.